On to the Elite Eight! Keep checking back for updated results… the Mustard Madness Final Four will be announced on Friday, April 5. The remaining two mustards to square off for the Championship will be announced by the end of day on Sunday, April 7. 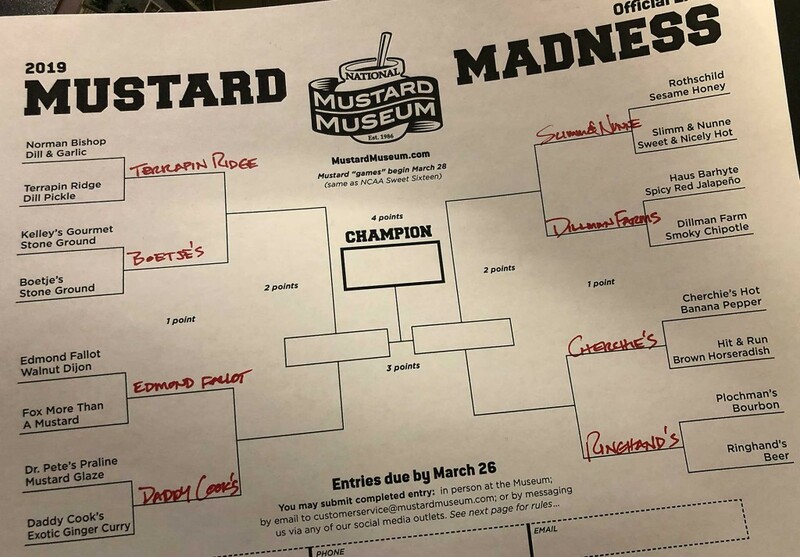 And the winner of the 2019 Mustard Madness bracket will be announced Tuesday, April 9. This entry was posted in From the Gourmet Gift Shop. Bookmark the permalink.